A special edition for the iPhone 8 family, the new (PRODUCT) RED combines a stylish black front with a deep red back panel. 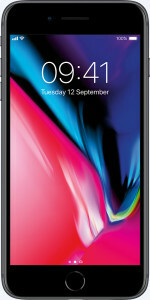 In addition, every purchase of this handset contributes to supporting the global fight against HIV/AIDS. It was the iPhone X, not the iPhone 8, that got all the attention during Apple's big autumn 2017 launch. And considering how similar the iPhone 8 is to the iPhone 7, that's not much of a surprise. 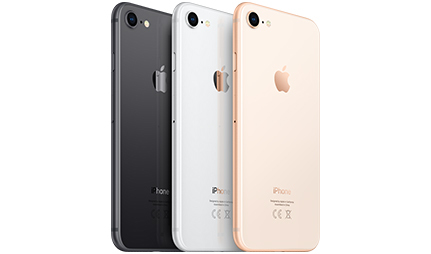 From the outside the iPhone 8 looks almost identical to the iPhone 7; rounded corners, TouchID home button and a thick bezel running around the display. 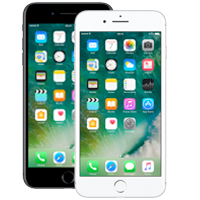 But there are some key differences, though likely not enough of them if you already have an iPhone 7 in your pocket. The back is now glass to enable Qi wireless charging, the processor has been upgraded to work better with augmented-reality apps and the camera takes crisper, clearer shots. There's been a slight improvement to the battery life, but you'll probably still need to charge up on a nightly basis. Wrapped up in a stylish all-glass body, iPhone 8 is Apple's most durable design to date. Reinforced with an aerospace-grade aluminium band alongside a new kind of glass, this sturdy smartphone is ready to withstand the bumps and knocks of everyday use. 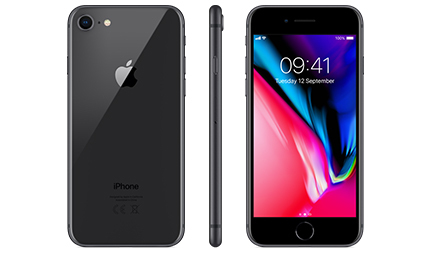 iPhone 8 is also precision-engineered to protect against water, splashes and dust, so you won't need to worry about sudden spills or getting caught in the rain. 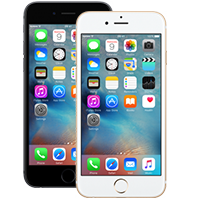 Available in a choice of space grey, silver and gold, it features a precise colour-matched glass and aluminium finish. Featuring a big and beautiful 4.7 inch Retina HD display, iPhone 8 offers stunning playback for all your favourite content. Using True Tone technology, this intelligent screen automatically adjusts the white balance to match your surroundings for an improved viewing experience. With a wide colour gamut and dual-domain pixels, everything will look extra vibrant, with great views from any angle. Your videos and games will also sound better thanks to redesigned stereo speakers, featuring sounds 25% louder than previous iPhones. Snap stunning photos with iPhone 8's 12MP wide-angled main camera. Now with a larger, faster sensor, you can also make use of optical image stabilisation for blur free shots. To the front is a 7MP FaceTime camera for pin-sharp video calls and selfies that really stand out. Shoot home movies with cinematic quality on iPhone 8, which records in 4K resolution at up to 60fps. Discover what the human eye usually misses with slo-mo video in 1080p HD, or reduce long-duration events with the time-lapse function. 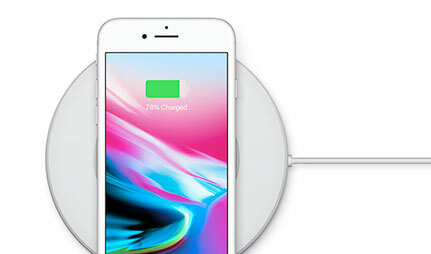 iPhone 8 debuts wireless charging capabilities on the Apple range. Simply combine the handset with the new AirPower mat, and you can set down your handset to charge for a conveniently wire-free experience. 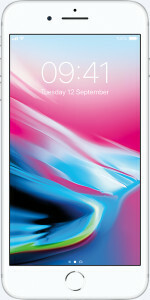 Powering the handset behind the scenes is the new A11 Bionic chip the most powerful and smartest chip ever in an iPhone. This six-core chip is 25% faster than iPhone 7, as well as offering an improved power controller to make the most of every battery charge. 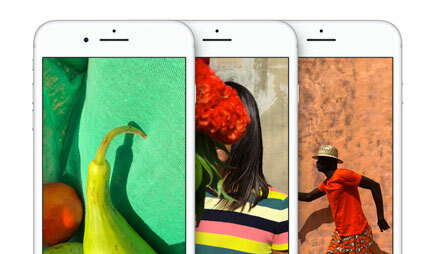 Apple's newest operating system is also its most advanced and intuitive. 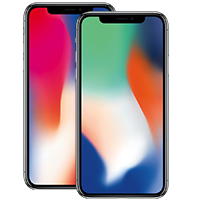 It features improvements in security, keeping your personal content and information safe with the help of the Touch ID fingerprint scanner on iPhone 8. 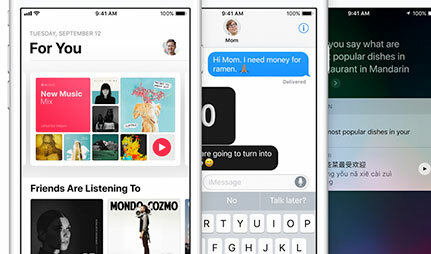 As well as new in-messenger apps, iOS 11 is optimised for Augmented Reality, offering immersive experiences that go beyond the screen. With a range of AR apps now available in the App store, you can explore a new city like never before, or game in ways you never thought possible.. There's a number of ways to get your hands on iPhone 8. 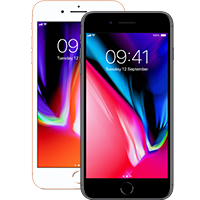 Why not browse our range of best iPhone 8 contract deals to choose the allowances and monthly costs that best suit you. 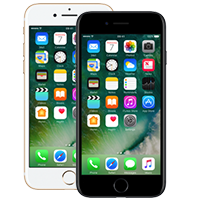 Alternatively, you can buy your iPhone 8 SIM-free, and couple with a SIM-only deal of your choice. 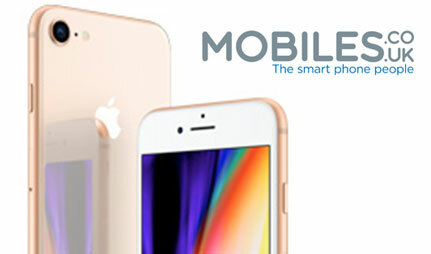 Why buy iPhone 8 from Mobiles.co.uk? 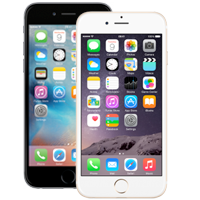 Boasting over 20 years online experience, Mobiles.co.uk is the UK's longest running online mobile phone store. With dozens of industry awards in our cabinet, you can be sure of simple ordering, expert customer services, extensive aftercare, and speedy next-day delivery as standard. If you don't believe us, why not check our reviews. The iPhone 8 in red is a thing of beauty, it’s fast, efficient and everything you know an iPhone to be. I’m very happy with purchase, it’s a fantastic phone with a superb camera, and I love the larger screen. Been working really well so far, had no issues atm. Great phone but put a cover on it. I broke my screen within 24 hours from a minor drop. Soon repaired in the Apple shop but expensive mistake. 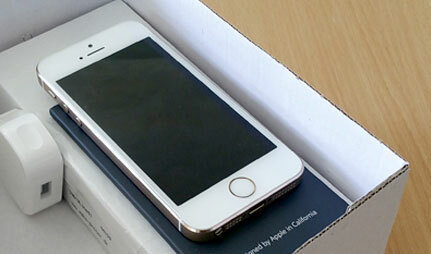 Phone looks really cool and smart. It doesn’t feel too big in your hand at all.